Mossend and Holytown councillor David Baird has been left off an approved list of SNP members who can stand as candidates in this year’s local authority elections. Seven members of Uddingston and Bellshill branch are on the list including Bothwell and Uddingston councillor Jim McGuigan, Thorniewood councillor Steven Bonnar and Bellshill councillor Marina Lyle, along with Stephanie Callaghan, Margaret Anne Campbell, Michael Clarkson and Jordan Linden. 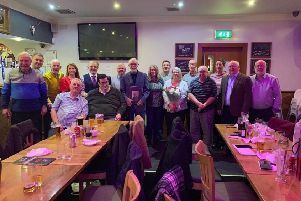 Nine members of the Motherwell and Wishaw SNP branch passed the party’s vetting procedure to potentially stand in North Lanarkshire. On the list are Motherwell North councillor Shahid Farooq, Motherwell West councillor Annette Valentine, Motherwell South East and Ravenscraig councillor Alan Valentine, and Wishaw councillor Rosa Zambonini, while also hoping to take their place on the council are Fiona Fotheringham, Jim Hume, Agnes Magowan, Jamie Super and Ann Weir. Councillor Baird is one of four North Lanarkshire councillors, along with Airdrie South councillors Michael and Agnes Coyle and Coatbridge South councillor Dr Imtiaz Majid who failed the party’s vetting procedure. All four can appeal the decision.